Tony Wainwright studied biological science and then completed his doctorate in experimental psychology. He then trained as a clinical psychologist working in the UK National Health Service in mental health, older adults and primary care. He now works at the University of Exeter in the department of psychology. 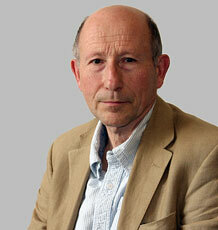 He is academic director of the doctorate in clinical psychology programme. He represented the British Psychological Society (BPS) on the EFPA Board of Ethics as chair of the BPS Ethics Committee. He is concerned with the effect that human activity has environmentally and its impact on human rights and the lives of the plants and animals with which we share the world.